Dr. Uwe Schlünz is a doctor in sports science and rehabilitation. He has been active in rehabilitation for 15 years and has developed an aquatic therapy circuit training called Aquaback Training. Combining his background as a professional swimmer and being a doctor for 15 years, he knows what‘s important if it comes to rehabilitation. Aquatic Therapy, also called Hydrotherapy, is a significant component to reduce the time of rehabilitation. This can be interesting for patients and athletes but also for therapists, health insurance companies, hospitals, rehabilitation centres and/or private clinics. EWAC Medical supports the use of Aquatic Therapy in hospitals, rehabilitation centres and for private use. Get in touch with us to see how we can help you further. We believe we can improve the quality of people’s lives, worldwide. 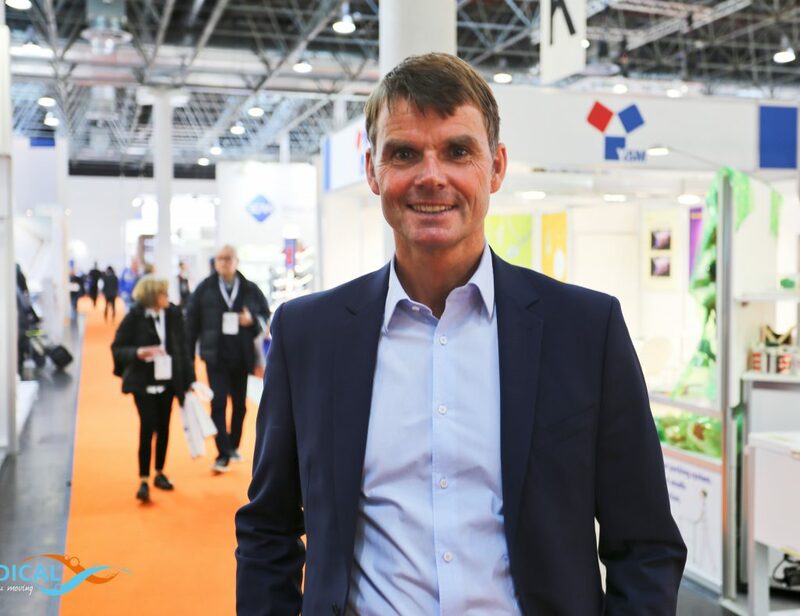 We interviewed Dr. Uwe Schlünz at Medica 2018. Medica is the leading international trade fair for the medical sector. Around 5.000 exhibitors from 66 nations will be represented at Medica 2018. Same as last year, you will find information about Physiotherapy (rehabilitation equipment and devices) in Hall 4 and Hall 5 of Medica Trade Fair. EWAC Medical, global market leader in aquatic therapy equipment (e.g. movable floors and modular pools) and Aquaback are representing Aquatic Therapy at their booth.